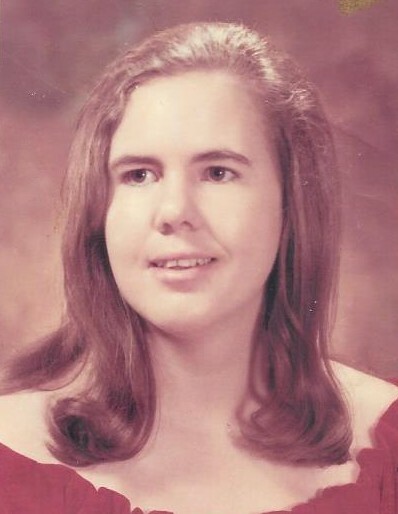 Peggy Galloway Lakey, age 66, passed away on March 31, 2019. She was born in Center, TX on May 17, 1952 to James Clinton Galloway and Gladys Jewel Smith Galloway. A loving, passionate and joyful woman, Peggy was a master of many things. Always in the moment, she made everyone feel important. Night and day, she was available to those in need by receiving calls, sharing her wisdom and ministering faithfully. Peggy was brilliant, and her mind stayed impressively and constantly busy: reading, learning and thinking of ways to bless others. If she set her mind to it, she was able to do just about anything. Though she battled with health most of her life, she was unshakeable, faithful and had the best attitude about any situation. She greeted others cheerfully, often with a bright and happy “good morning”. Peggy married her sweetheart, Robert, on May 17, 1952, a short while after he decided to visit her home church to get to know her better. They were acquaintances, but she caught his attention, and he asked her on a date that began their love story of more than 48 years. If Peggy ever needed his attention from then on, she would call “Robert D’Earl!”, and he was there. Devoted and loyal, he spoiled her rotten, and she spoiled him. They served alongside each other in ministry for 35 years, sang in church and lovingly raised their son and “testimony” of 17 years of hope and prayer, James, together. Her favorite thing was cooking, especially at Christmas, Thanksgiving and other holidays; an excellent baker, she made some of the best Texas Cakes, Coconut Cream Cakes and pies. Through her willingness to let God use her, Peggy blessed and touched so many lives that she will be dearly missed. The memory of her love and joyfulness continues in the hearts blessed by this dear lady and bold warrior of God. Left to honor her memory is her loving husband of 48 years, Robert Earl Lakey; son, James Robert Lakey of Newton, TX; mother, Gladys Gallowy; sisters, Shirley Blue and husband, James, of San Augustine, TX and Sharon Jacks and husband, Pat, of Bronson, TX; special nieces and nephews, Sherry and Jeff Harding, Linda and Johnny Hodge, John and Jenny Blue, Patrick and Nina Jacks, and Sabrina and Raymond Worthy; and numerous nieces, nephews and extended family. Peggy is preceded in death by her father James Clinton Galloway, and sister, Nelda Faye Galloway. Visitation with family and friends will be 5:00 to 7:00 p.m., Wednesday, April 3, 2019, at Forest Oaks Funeral Home, 601 W. Gibson St., Jasper, TX 75951. Peggy’s life honoring service will be at 2:00 p.m., Thursday, April 4, 2019, also at the funeral home, with Bro. Jim Chance and Bro. Elmer Eddings officiating.